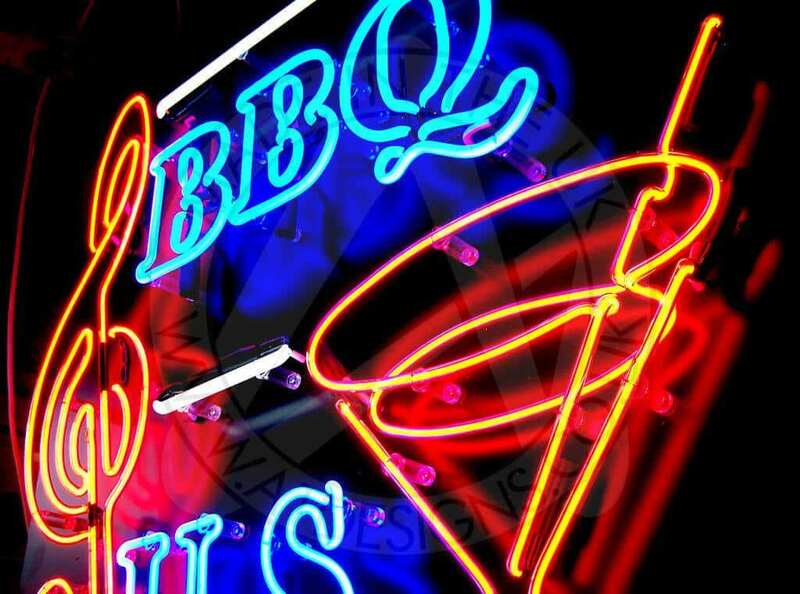 Neon signage provides a high quality, high impact form of signage that will make any business stand out to passing customers. 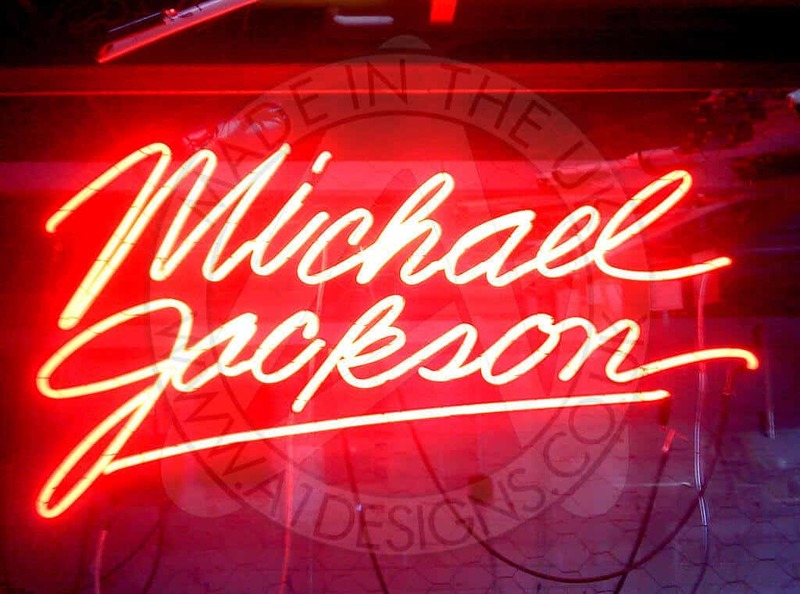 As we all know it is very rare we get a second chance to grab a customer’s attention and make that all important first impression. 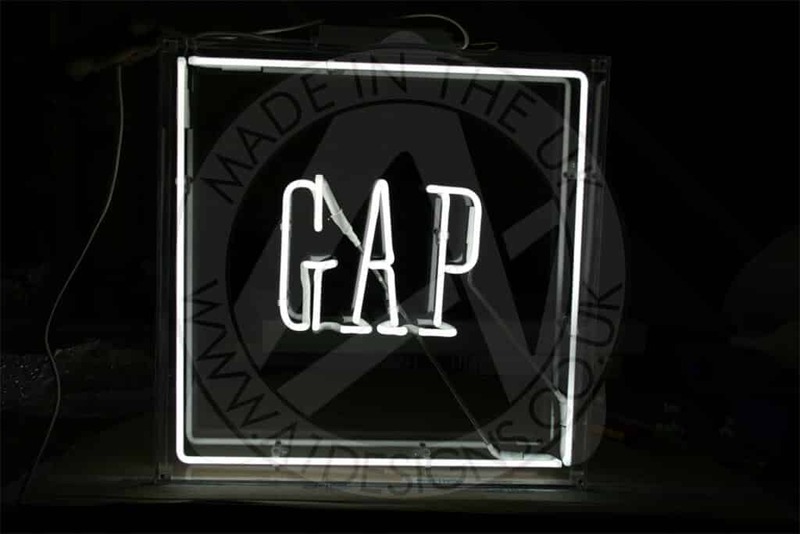 Neon has no equal, although many have tried, they lack the natural, attractive light or are too harsh to look at and lack the bespoke hand-made feel of a neon sign. 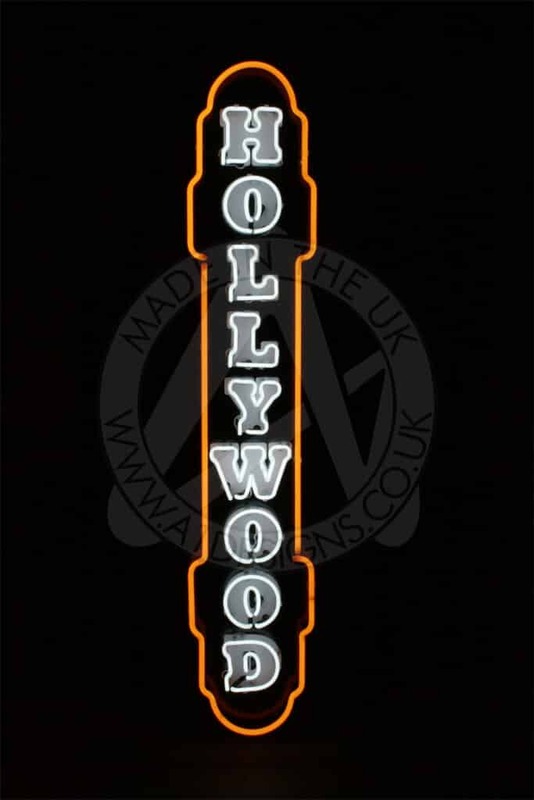 So whether used as part of a fascia sign, hanging in a window of a high street shop, or to give a retro feel to the interior of a bar, you can be sure that a neon sign will give the best impact you could possibly want, as its natural light and vintage/retro charm attracts customers to your door. 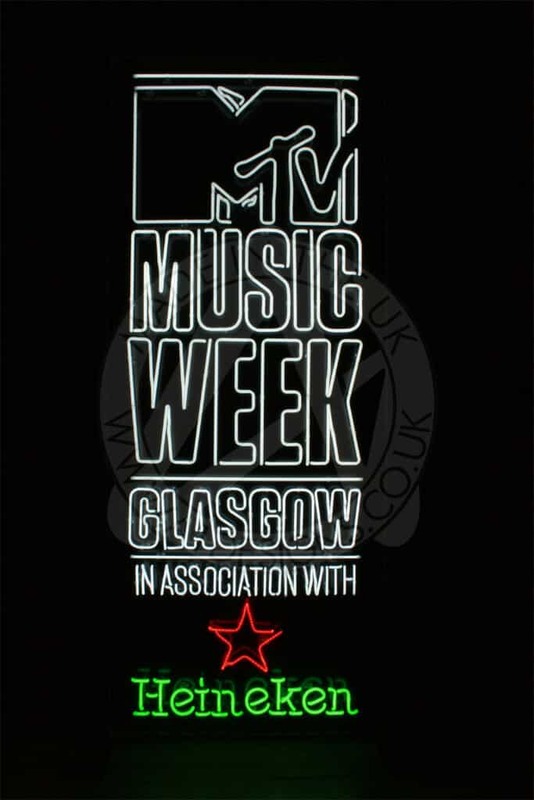 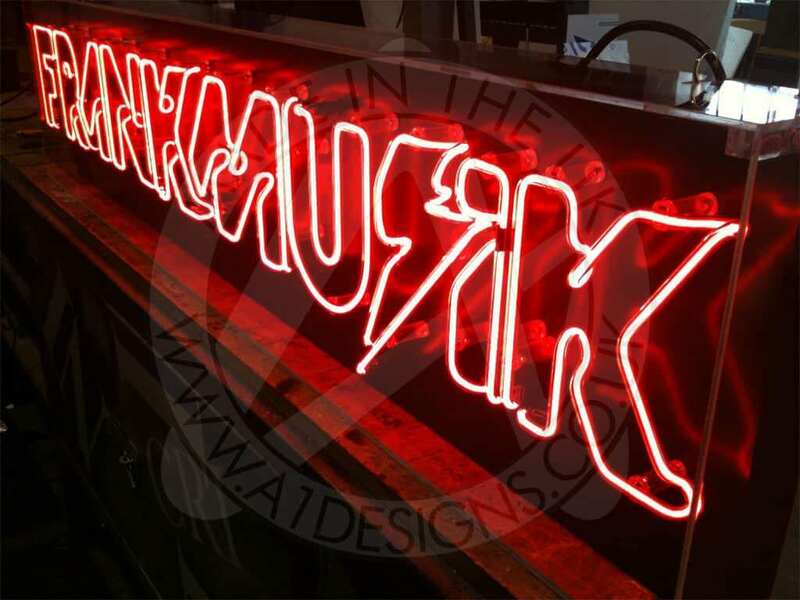 As the UK’s premier neon sign makers, we are able to create a bespoke design to meet your needs, from either a logo, handwriting or to follow the outlines of a picture, our design team will be happy to work with you to create your own exclusive look; with many years experience we have the knowledge to create the perfect neon sign for you. 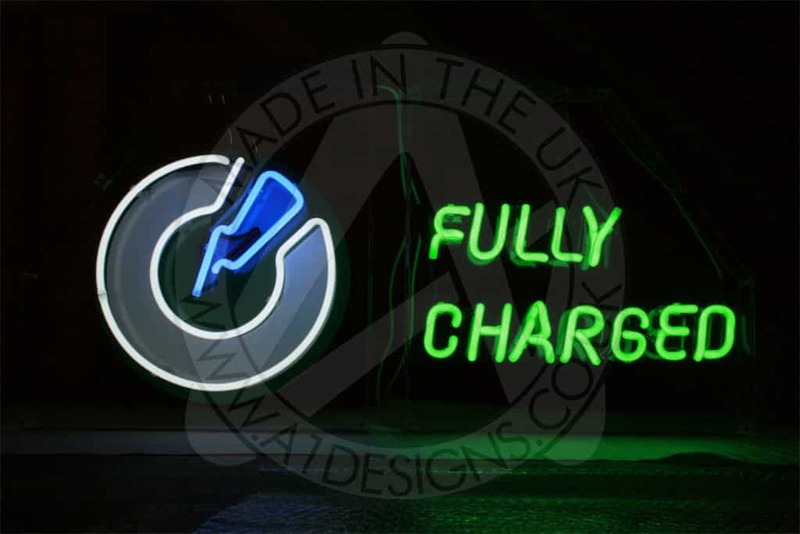 From a simple open neon sign, through to complex multi-coloured logos that flash, creating movement in your signage, we have the knowledge and experience to help you achieve your advertising needs. 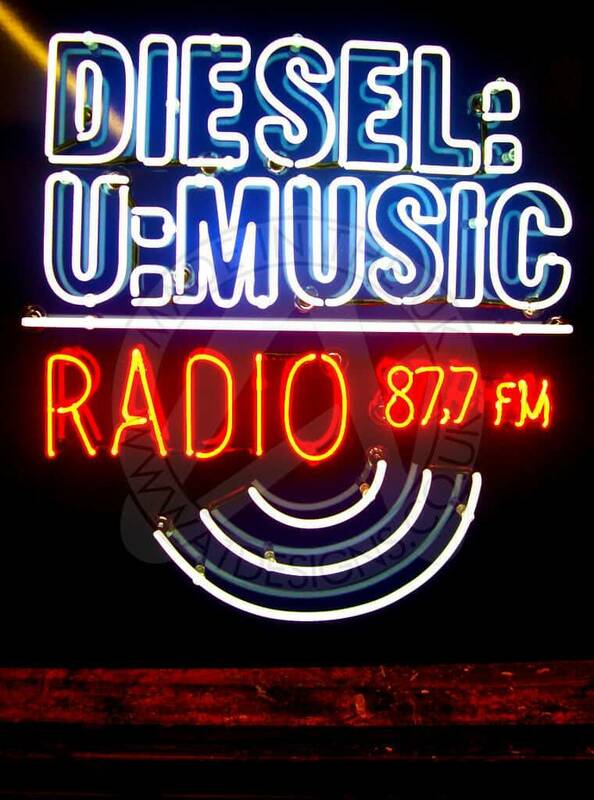 We endeavor to make it our goal to give you the most effective sign for your business to help you stand out from the crowd. 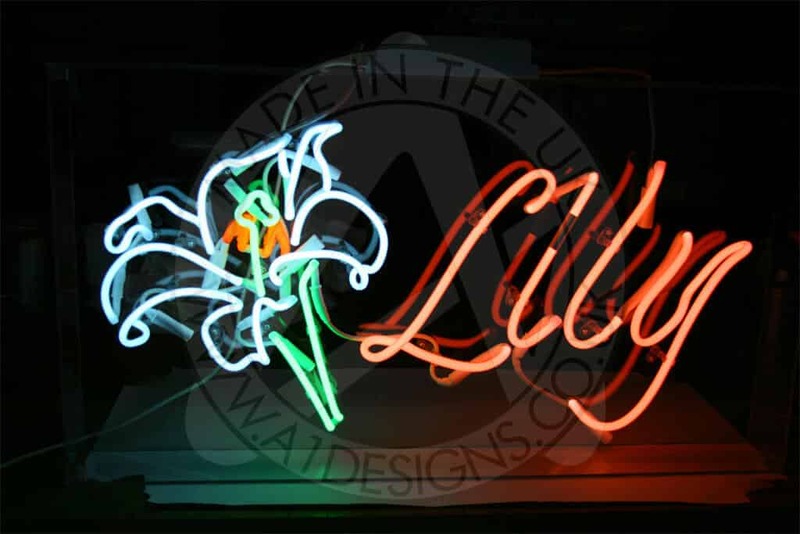 We carry a large stock of colours and can source other rarely used colours within a short time-frame. 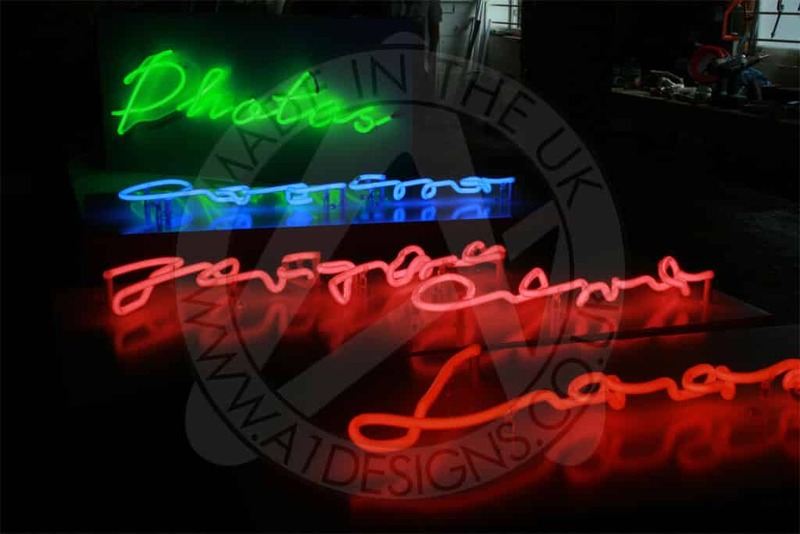 These can be seen on our colour selector page. 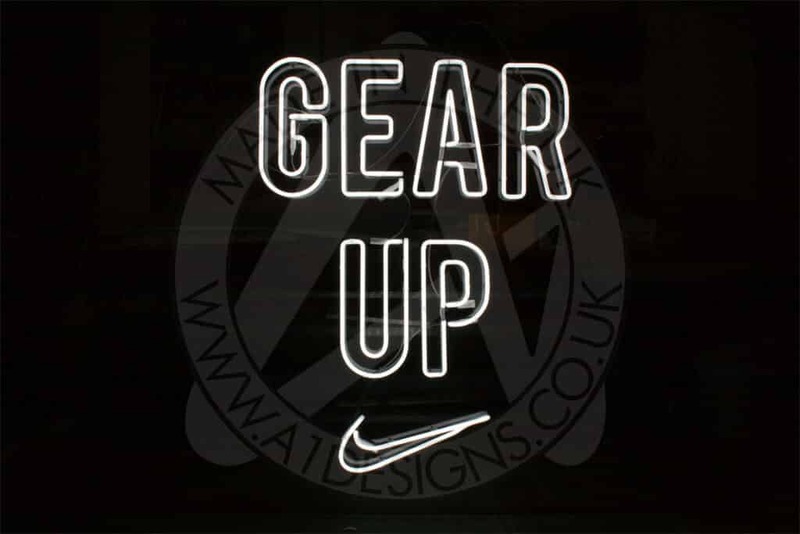 With combined sign making and installation experience of over 150 years, the A1deSIGNS team possess a wealth of knowledge that will help create the effect you are looking to achieve. 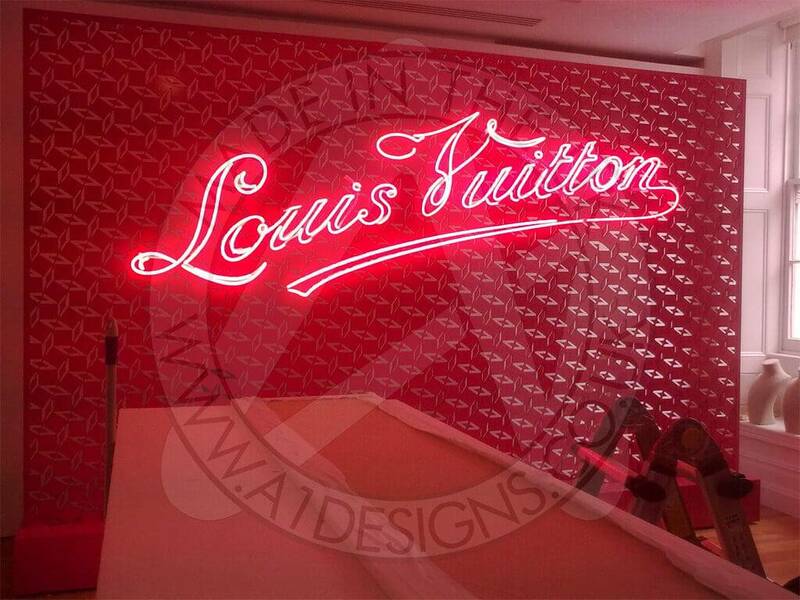 This gives our customers peace of mind that their signs have been installed to the high standard that years of experience brings. 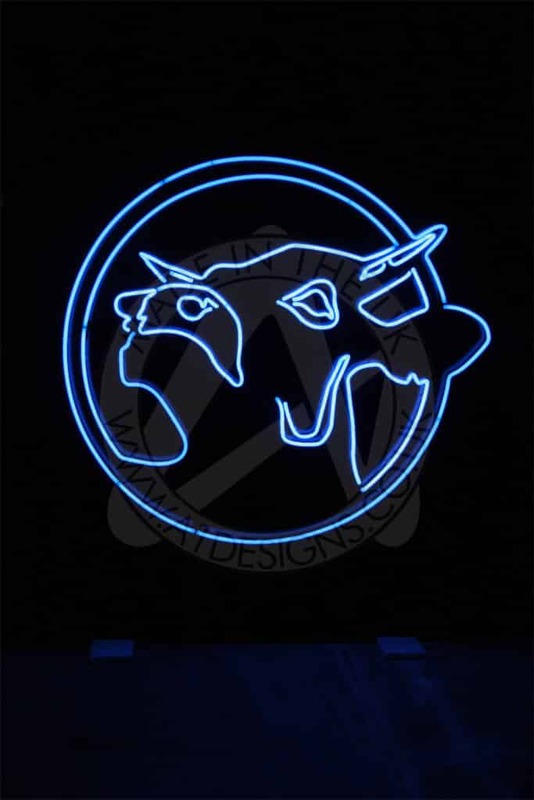 Through the use of different controllers we can provide options that allow your neon signage to be dimmed to varying levels depending on the equipment used. 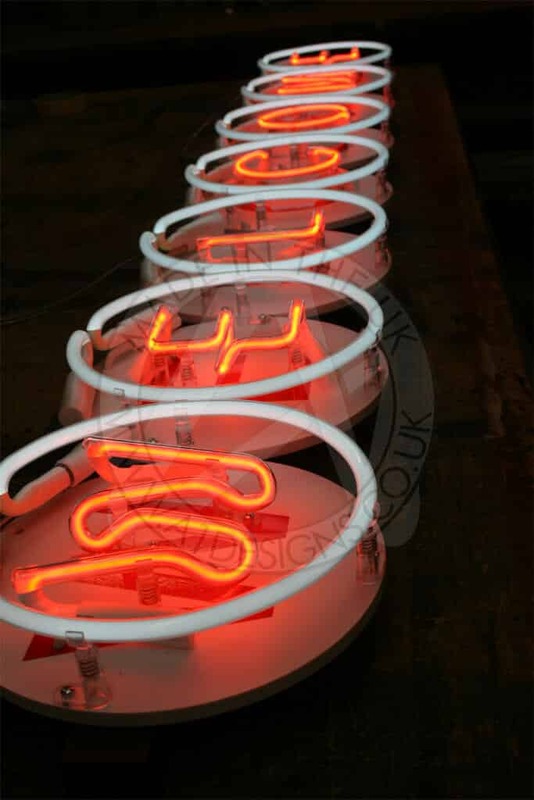 We can also provide controllers that allow your neon signage to spell out words or even create movement. 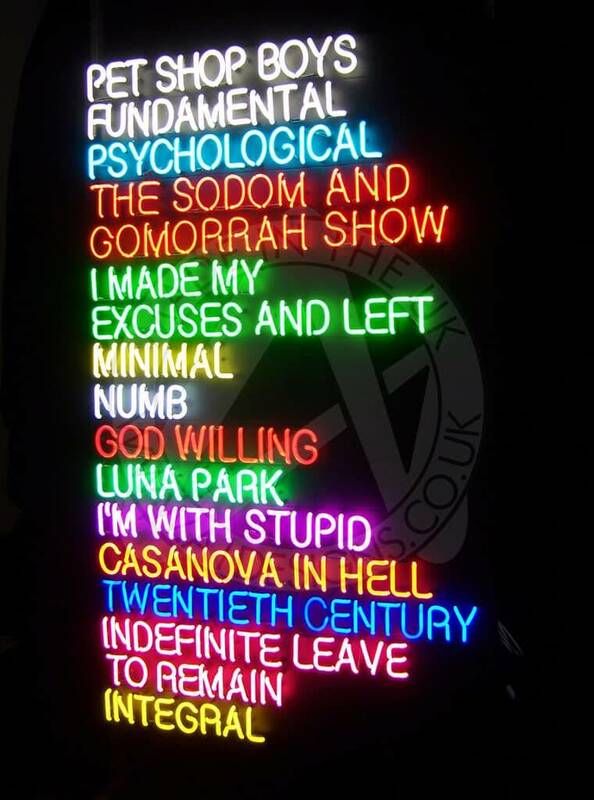 This is done by illuminating various parts of the neon signs in sequence to give the illusion of movement. 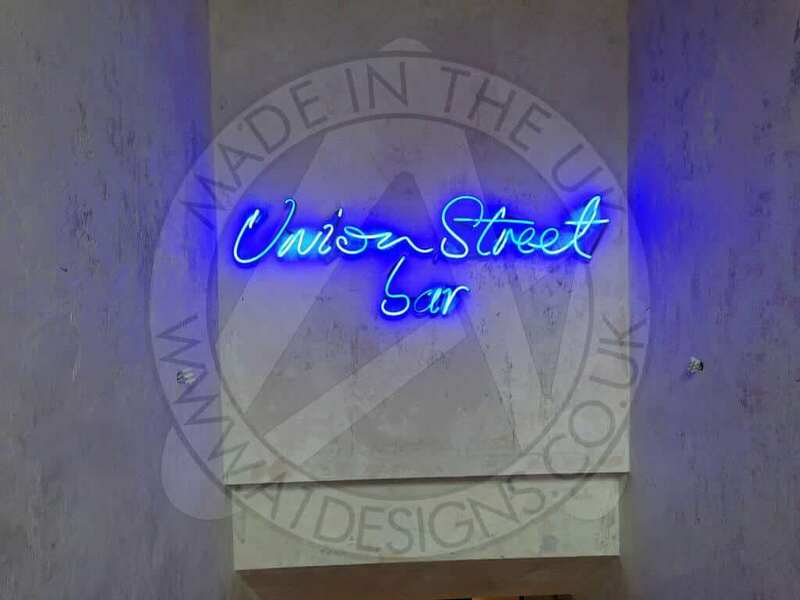 Neon signage can be manufactured for use either inside or outside and can be mounted onto variety of substrates including acrylic, aluminium composite, sprayed aluminium panels, aged wood, hand painted wood, glass or even mounted directly onto a brick wall. 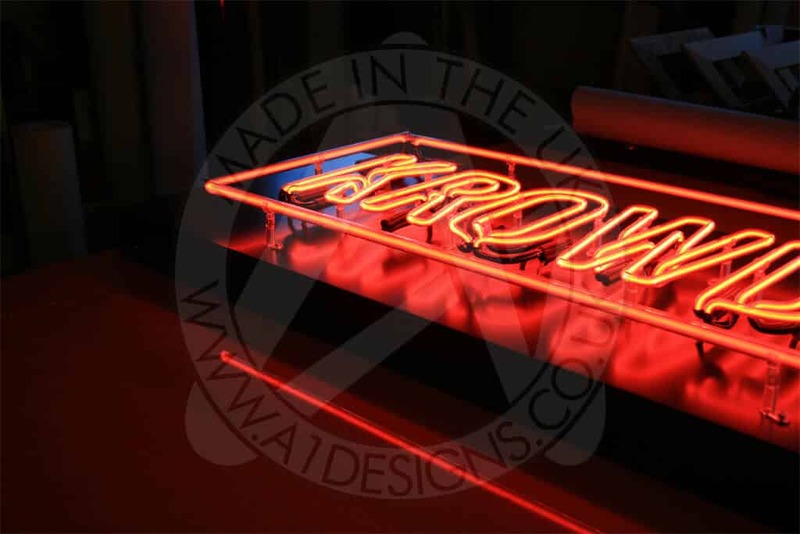 As a professional neon sign maker we have installed neon signs to almost every possible substrate. 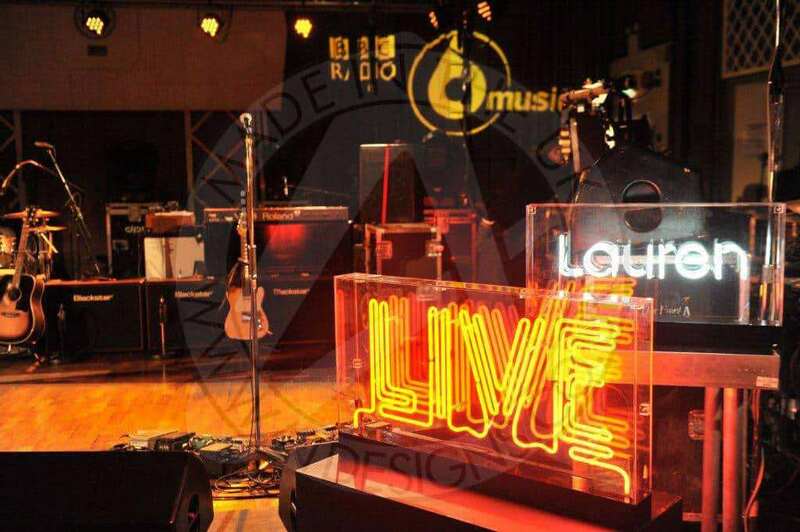 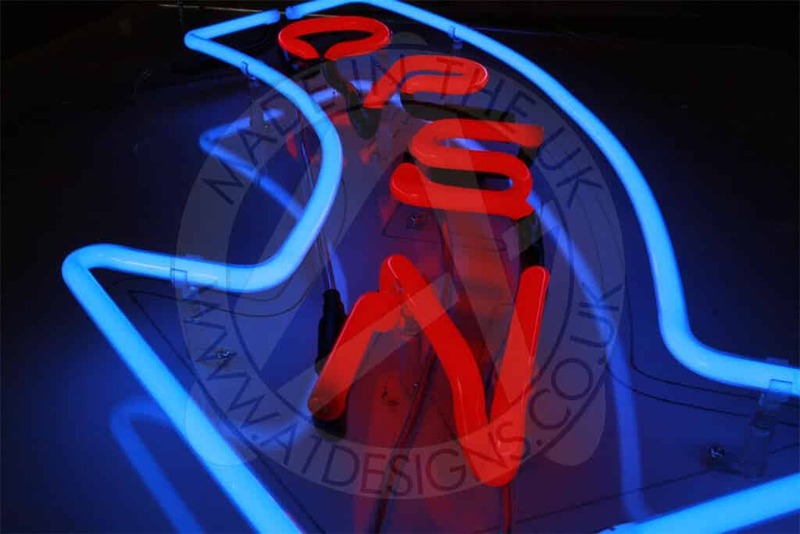 At A1deSIGNS we have the know-how and experience to provide you with the neon signage installation you envisaged. 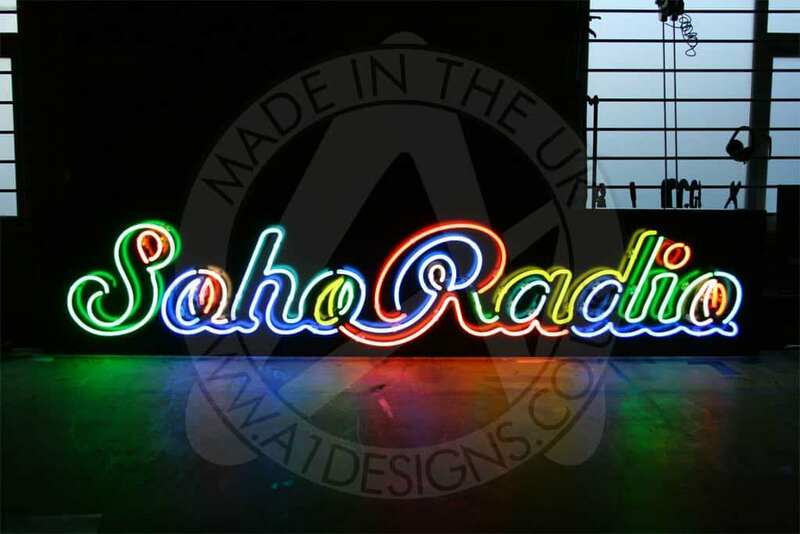 Contact us now for a free quotation or to discuss your need for Neon Signage.